I just completed a new toothpick bridge that’s quite different than my last one. 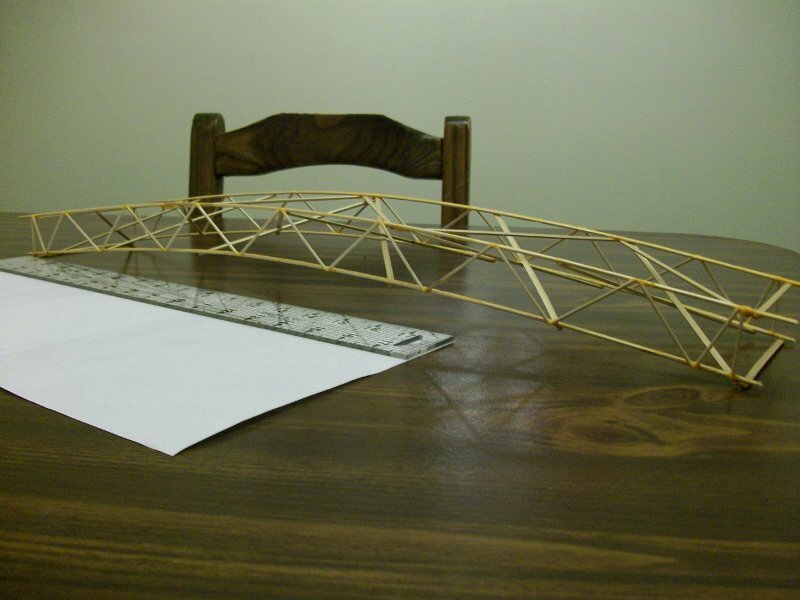 It’s an arch made from curved trusses, formed once again with toothpicks and wood glue. This one won’t be tested either (sorry!) because it was made for a friend who creates custom action figure dioramas. But I designed the bridge to have the highest ratio of maximum load to bridge weight and some ad hoc tests made me pretty optimistic. The bridge is 24 inches long, 4.5 inches wide and 2.75 inches tall at the top of the arch. 55 queries in 0.594 seconds.